We love our families! Thanks for being part of our community! 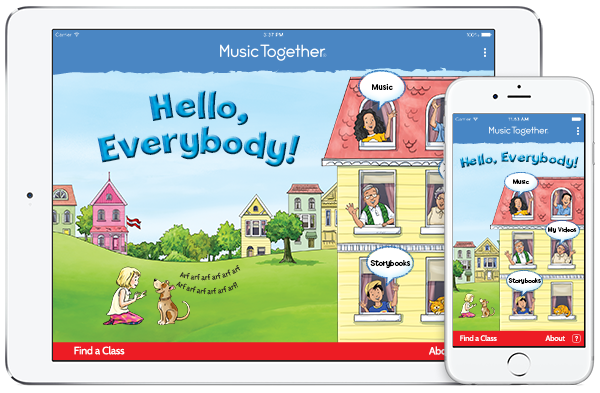 Check out Music Together’s free “Hello Everybody” app for iPhone, iPod, iPad, or Android device. It’s an easy way for you to access your Music Together songs, whether you are at home or on the go! Log in with your Family Music Zone account, or create a new one right from the app, to get your song collections into the app. Then, have fun singing and dancing along wherever you are.